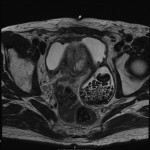 This man with LUTS and raised PSA underwent an MRI of his prostate. 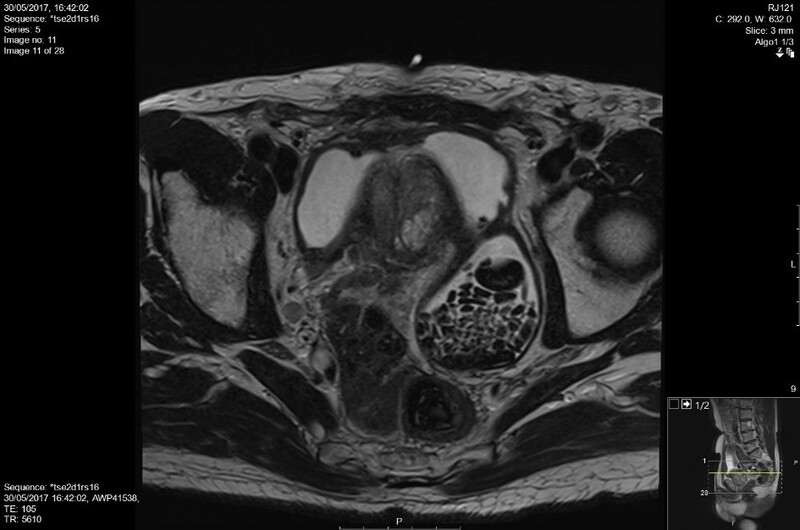 Answer: This axial slice shows the bladder with a large median lobe within the lumen of the bladder. 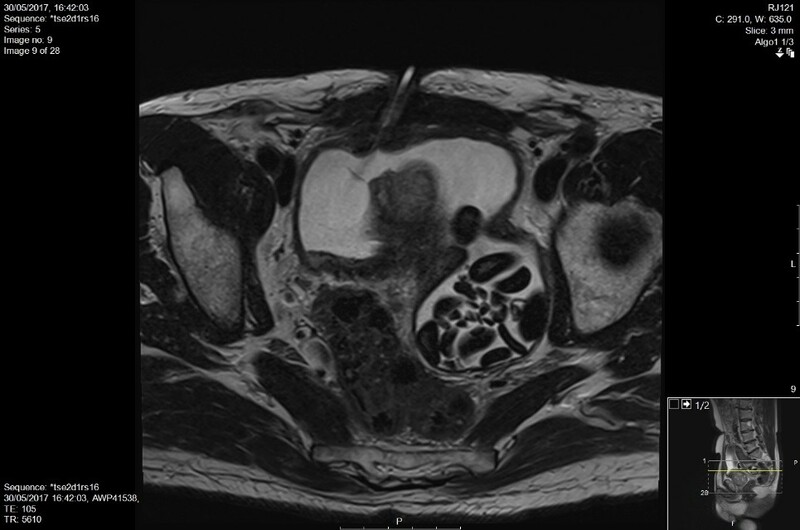 There is a bladder diverticulum with multiple stones within it and a stone at the neck of the diverticulum. There is a suprapubic catheter in-situ.